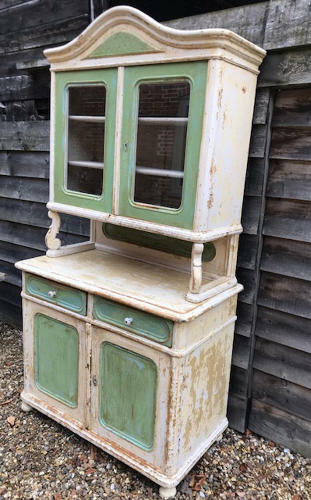 Stunning Late 19th cent Glazed Dresser in original paint with wonderful colours. Off white, green some blues and mustards coming through too. Very useful amount of storage. Very elegant design with arched top.